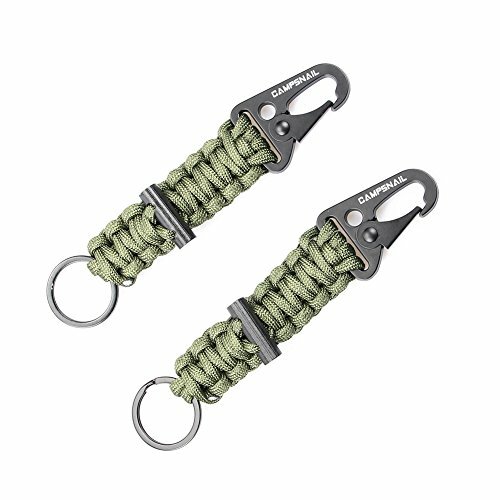 Why more people use Paracord Survival Keychain? It's a multifunctional essential survial gear. - The carabiner and keychains supply your different choose to tie something down or clip something on easily. - The fire starter which could produce enough sparks and are great for making fire, getting food or mounting different things such as a tent tarp. We continually strive to provide high quality products and a great buying experience. If for any reason you're not completely satisfied with this key chains, just return it and we'll refund every penny with our no-hassle, money-back guarantee. 100% Money Back Guarantee. So click the "ADD TO CART" button! 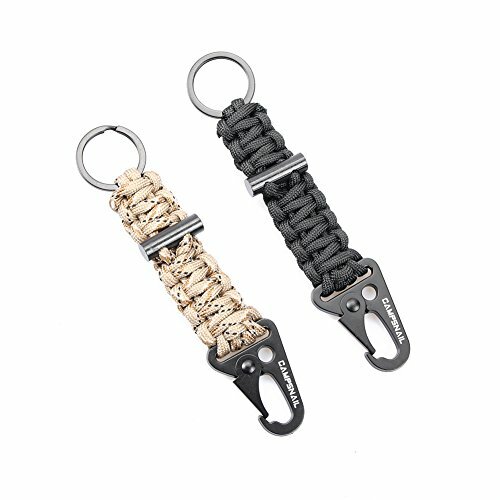 STRONG, DURABLE AND VERSATILE: Our Paracord Keychains measures 5.5 inches in length and 1 inches in width with one metal plated Carabiners and Keychains that are rust and tarnish proof, one firestarter. 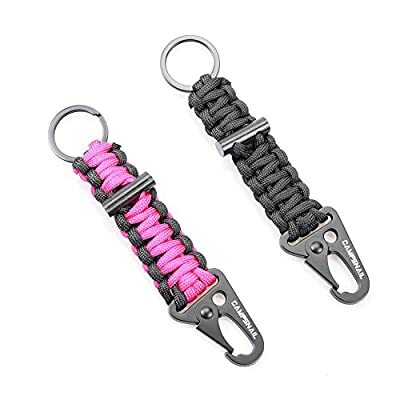 PERFECT FOR OUTDOORS, MULTIPLE USES: Each Keychains comes with disassembled length approximately 4 feet and 550 lb (250 kg) paracord keychain and very strong and can be a useful survival tool during emergencies while outdoors hiking, camping, or climbing. BEST GIFTS FOR GENTLEMAN : An ideal survival kits gift for father's day, girls and boys scout, men or woman's adventure, lover's outdoor dating. FASHION COLLOCATION: Carabiner survival keychain is convenient and compact for you to hook it to the bags, belts or put it into your pocket, car, survival tool box.You can easily take the premier survival bracelet to anywhere at anytime. LIFETIME WARRANTY: This product is covered by The Campsnail's Lifetime Warranty.